Dr. Wan Fadzilah Wan Yusoff is a Professor at Putra Business School. She was formerly a Professor and founding Dean of the Graduate School of Management and, prior to that, Dean of the Faculty of Management at Multimedia University. Those positions enabled her to be very actively involved in academic management, internationalization initiatives and university-industry engagement. She graduated with a Ph.D. degree from University Sains Malaysia where her doctoral research was honored with the best thesis award. Her first degree was obtained from the University of Oklahoma and her MBA was from Morehead State University, USA. Her first foray into the academia was in 1998 when she joined Universiti Tenaga Nasional (Uniten) after 17 years in the finance and banking sector holding various managerial positions. Among her, significant relevant industry experiences were as a financial analyst in a commercial bank’s finance division preparing group accounts, a corporate trainer, a project manager for an international consulting firm and a licensed dealer with a stockbroking company. 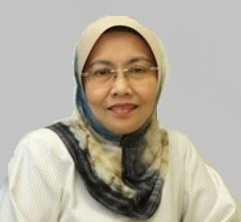 Dr. Wan Fadzilah was exposed to training and consultancy work rather early in her career when she was selected to participate in internal consultancy projects involving credit management, change management and business process re-engineering with a reputable international consultancy firm A.T. Kearney, Inc., USA. As an active researcher, she has lead several research projects funded by IRPA, ERGS, FRGS, CIMA Centre of Excellence South East Asia and several internal grants. Results from the various research were presented at international conferences and published in reputable journals. Her areas of research interest include performance measurement, intellectual capital, entrepreneurial sustainability, human capital, social capital, and strategy.